Just about every traveler has his or her own personal bucket list, even if it isn’t officially written down. It might include some place as far away as Tibet or Mongolia, or as near as a national park that has somehow remained elusive. This list, compiled by Stride’s editors, focuses on 15 of the worlds most iconic destinations, including many UNESCO World Heritage Sites. We’ve had the good fortune to visit many of these ourselves -- but a few still remain on our own personal bucket lists. One of the world’s last frontiers, the Amazon Basin encompasses huge swaths of Brazil, Peru and Ecuador. The Amazon itself, the world’s largest river by volume, starts in Peru and flows some 4,000 miles east to the Atlantic Ocean in Brazil. The Amazon river has two main segments: the lower Amazon starts at Manaus, a vibrant city in the heart of Brazil, and runs to the Atlantic Ocean, a passage wide and deep enough to accommodate some traditional medium-sized cruise ships. West of Manaus lies the more remote upper Amazon, navigable by smaller, expedition-style vessels. On an upper Amazon river cruise, you’re likely to make frequent stops to venture into the depths of the Amazon rainforest, where native guides point out sloths, monkeys, and other wildlife, as well as trees and plants used for traditional housing, foods and medicines. 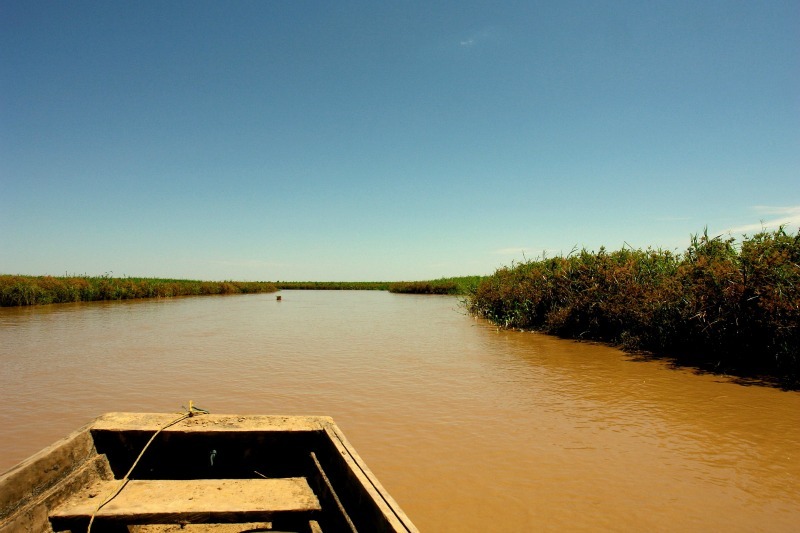 You’ll likely board small skiffs or canoes to explore intriguing inlets, and venture into small villages as well. Jungle lodges, used as bases for hikes and explorations, are another option in the Amazon. You might wake up to the sounds of exotic birds and the sight of a 20-foot boa constrictor on the lodge’s front porch -- all part of the experience. It’s the world’s largest religious complex and Cambodia’s top national attraction as well, drawing a million visitors per year. Angkor Wat (which means “City of Temples”) is indeed huge, covering some 400 square miles. At one time, three-quarters of a million people were said to live on the site, but it’s been abandoned for centuries (until discovered by tourists). 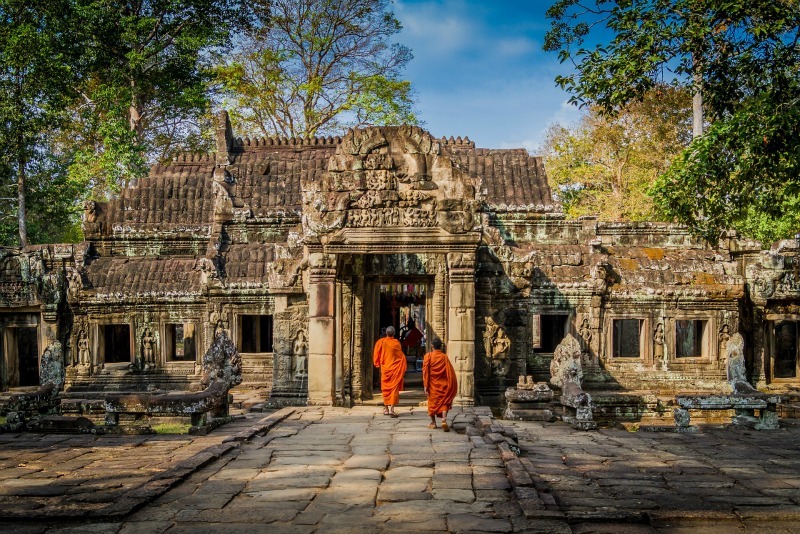 Built by a Khmer king in the 12th century as a Hindu temple dedicated to Vishnu, it later served as a Buddhist shrine and place of pilgrimage. Its remarkable stone structures -- with spires reaching heavenward and walls lined with bas-reliefs and other artworks -- lie amid the forests near the city of Siem Reap. The site includes a vast system of dikes and reservoirs dating back to Angkor Wat’s glory days. So it’s perhaps appropriate to first visit it during a waterborne journey; Mekong River cruises typically include it in their itineraries either at the start or end of their voyages. If you make it to Antarctica, you can consider yourself among the travel elite. Only about 40 vessels – mostly small, expedition-style ships -- travel to the White Continent yearly. Setting off primarily from Argentina or the Falkland Islands across the often-rocky Drake Passage, they carry anywhere from six to 500 passengers, though most carry fewer than 100. Those visitors that do go are treated to the last real wilderness on earth, where -- except for scientists and others temporarily stationed at the research bases there -- only penguins, whales, seals, and other abundant marine and bird life reside. Glaciers, snow-covered mountains, icebergs, historic sites (such as the huts of early Antarctic explorers) and perhaps one of the 20 international research stations are among the other attractions. 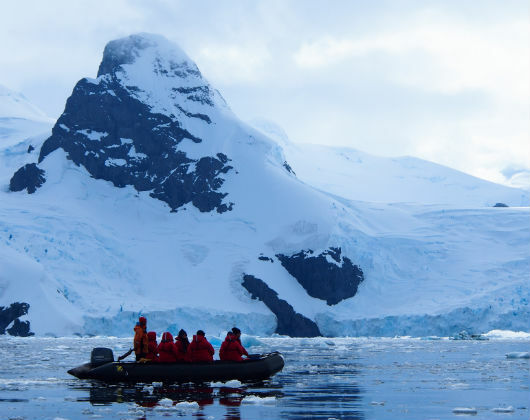 The Antarctic Peninsula, the South Shetland Islands, South Georgia Island, and the Falkland Islands are all havens for wildlife and common destinations on Antarctica cruises. (The latter two, however, are not part of Antarctica itself). Passengers board Zodiacs (rubberized rafts) to go ashore, with most ships making one to three landings per day on the mainland. The Antarctic tourist season runs from late October or early November to March or early April. An Everest Base Camp trek through Nepal is one of the most iconic treks in the world, taking you through spectacular Himalayan scenery to the south slopes of Mount Everest, whose summit looms another 11,000 feet above. 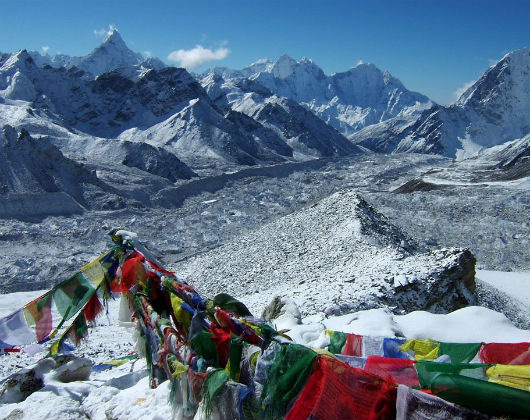 Along the way you’ll have views of Everest and other peaks, as well as monasteries and villages. The trek to Everst Base Camp typically takes about eight days, including three two-day hikes broken up by two intermittent days of rest -- which may include scenic day hikes -- to adjust to altitude changes. Flying from Kathmandu to the town of Lukla, trekkers begin the two-day climb to the Sherpa capital Namche Bazaar, where the elevation tops 11,000 feet. After a day’s breather or day hike, another two-day trek leads to Dingboche, nearly 14,000 feet high. Following another day’s rest, trekkers typically reach south Everest Base Camp in two more days. At about 18,000 feet, it’s a great place to mingle with climbers on their way to or back from the summit, and perhaps decide to add that to your bucket list as well. With the return trek and time spent in Kathmandu, the entire trip may last nearly three weeks. The Galapagos Islands, part of the South American country of Ecuador, lie nearly 700 miles out in the Pacific Ocean, where they lay isolated for millennia. Best known as the isles where Charles Darwin formulated the ideas that led to his Theory of Evolution, the Galapagos are a living laboratory of wildlife, some found nowhere else on earth. 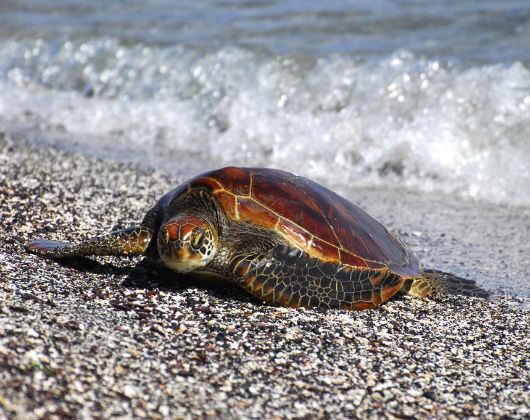 The most remarkable aspect of viewing wildlife in the Galapagos is that few if any of the reptiles, birds, and marine mammals on or around the islands show any fear of humans. You can literally stand inches from an iguana or frigate bird and they won’t try to move or fly away. Most visitors tour the islands by small cruise vessels, often holding as few as 20 passengers or less. On a typical week-long Galapagos cruise, you can expect to set foot on parts of several different islands -- important since each island (or region of an island) is known for different types of wildlife, ranging from giant tortoises to sea lions to blue-footed boobies. Traveling on a small ship also allows plenty of chances to snorkel or dive on otherwise deserted beaches, in search of coral, sea turtles, and colorful tropical fish. 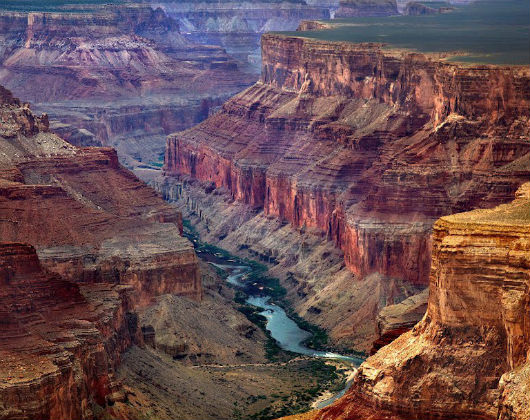 Cut through the rocks over millions of years by the Colorado River, the multi-hued Grand Canyon is some 6,000 feet deep, 277 miles long and, at points, reaches up to 18 miles across. The canyon, a U.S. national park in northern Arizona, draws more than six million visitors per year. The canyon’s South Rim offers the most lodgings, services, and activities and gets the bulk of visits, while the North and West rims promise somewhat more isolation. The views and perspectives differ wherever you go along the rim; the West Rim’s newish Skywalk, a 70-foot-long glass walkway that extends 4,000 feet above the canyon floor, may be worth the long drive for the non-acrophobic. Besides gazing at the canyon and snapping photos from the rim walkways or from the air via small plane or helicopter tours, you can get active here: hiking, camping, riding mules into the depths of the canyon and back, and whitewater rafting on the Colorado River. With the latter, you can follow in the wake of explorer John Wesley Powell, who first navigated the Grand Canyon by boat and gave it its name back in 1869; if anything, the views from below are even more awesome. A visit to the Great Wall is an essential part of any China tour. While much of it is now in ruins, at some locations you can both view and walk out on this massive fortified monument -- first built more than 2,000 years ago and snakes its way through northern China for some 5,500 miles from the east coast to the Gobi Desert. The most accessible areas of the wall are in the region around Beijing; these sections primarily date from the Ming Dynasty, 400 to 700 years ago. 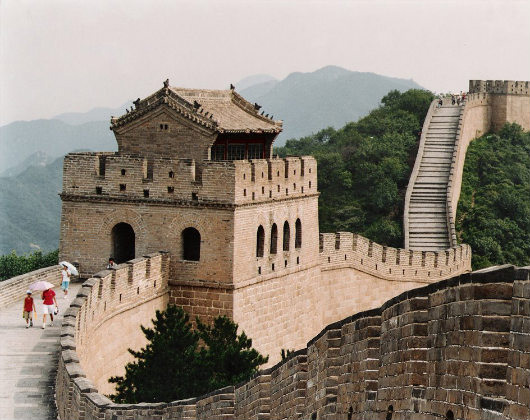 About 42 miles from the Chinese capital, Badaling is the most frequently visited part of the entire wall. Its steps and towers are particularly photogenic as they angle their way up the hillsides. Mutianyu, where a bit more than a mile of wall has been restored about 54 miles from Beijing, is the second most popular section for visitors. But if you can find a tour that takes you to Simatai, the favorite section of many who have visited them all (about 60 miles from Beijing) or Jinshanling, a dramatic and less developed segment about 70 miles from Beijing, by all means seize the opportunity. Perched high up in the Peruvian Andes at the end of the Inca Trail,the ruins of Machu Picchu occupy one of the most dramatic sites of any archeological find in the world. Dating from the 15th century and not rediscovered by explorers until the early 20th century, the Lost City of the Incas features the ruins of stone-walled Inca temples, tombs and palaces in a jungle setting, with steep mountains forming an unforgettable backdrop. There are many ways to visit Machu Picchu. 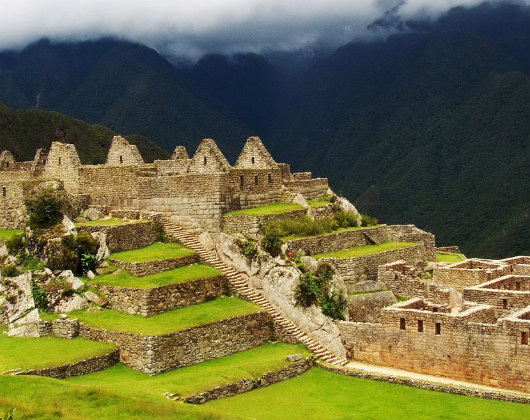 Peru tours often include a visit to the famous ruins. They range from strenuous multi-day hiking along the Inca Trail to comparitively speedy comfort via deluxe train. There are multiple options depending on your budget and preferred travel style. The Parthenon, a temple commissioned by Pericles (a Greek statesman and general) in 447 BC, sits atop the ancient Acropolis in the center of Athens, one of the most stunning architectural survivors of the Classical Age. Recently undergoing a major renovation, the Parthenon is something of a miracle of survival: over the centuries, it’s been used as a Christian church, a mosque complete with minarets (when the Acropolis was occupied by Turks), and a fortress, resulting in heavy damage to many of its features. Lord Elgin, a British ambassador to the Ottomans, removed many of its finest sculptures in the early 19th century and sent them to England, where they remain on view -- controversially -- in the British Museum. 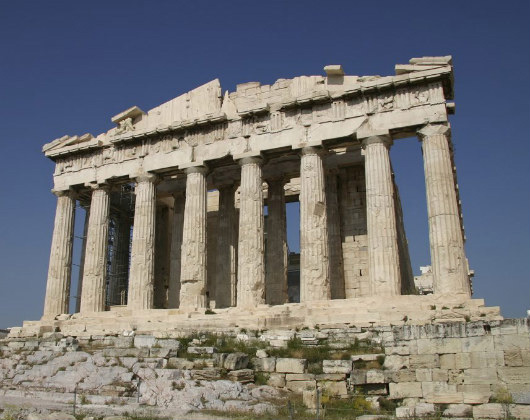 Although many of the temples once accompanying the Parthenon atop the Acropolis have been destroyed, you can still tour the ruins of the temple of Athena Nike, among others. Excavations and renovations continue, warrenting periodic visits to Athens on a Greece tour to measure progress. The Pyramids of Giza -- now part of sprawling Cairo, Egypt -- and the Nile River, which flows through Cairo on its way to the Mediterranean Sea, head up many bucket lists, and for good reason. The Pyramids, huge polyhedron-shaped stone structures built thousands of years ago to serve as tombs of Egyptian pharaohs, have long been a source of mystery, intrigue, and awe to the world. The only remaining survivor of the fabled Seven Wonders of the Ancient World, the ability of ancient people to build such grand monuments has baffled modern-day scientists and engineers alike, though recent discoveries demonstrate that early Egyptians had advanced engineering and architectural skills. Whether you climb partway up the Pyramids, enter their narrow inside passageways, or simply snap photos of them and the nearby Sphinx, going on a guided trip is essential to ward off the many touts who hang around, eager to separate tourists from their Egyptian pounds or U.S. dollars. As with the Pyramids, just about every Egypt tour will spend some time on the Nile -- whether for lunch on a Cairo-based riverboat, or, preferably, a multi-day Nile River cruise. The Nile, the world’s longest river, flows for 4,250 miles from East Africa to the Mediterranean, while the typical Egyptian Nile cruise covers the distance from Aswan (site of the famous Aswan Dam) to Luxor, which takes three or four days. The rectangular-shaped tour boats typically contain multiple decks, including roomy open-air top decks that provide 360-degree viewing of the passing panorama along the river banks. 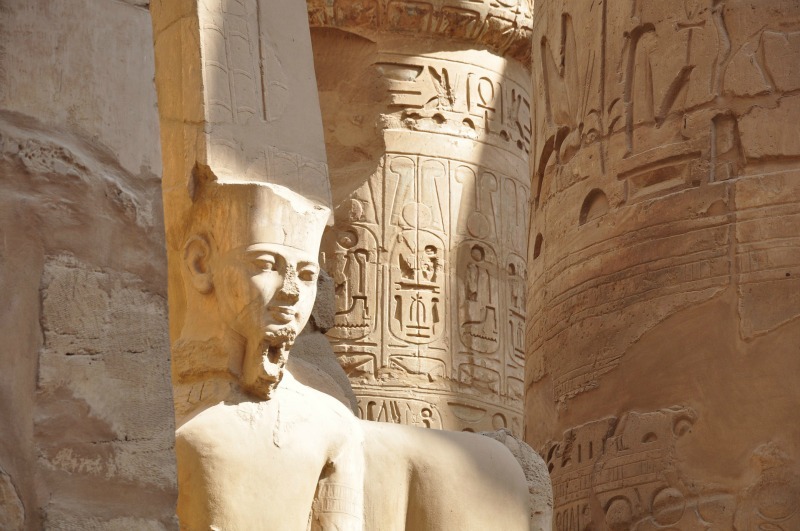 During this peaceful sojourn, you can tour the Valley of the Kings, home of the tombs of the pharaohs, and fabulous Luxor, where the awe-inspiring ruins of ancient Thebes and the Temple of Karnak stand right along the riverfront. The “glory that was Rome” in the Classical Age lives on in the ruins of the Roman Forum and the remarkably well preserved Roman Colosseum, which stands nearby. 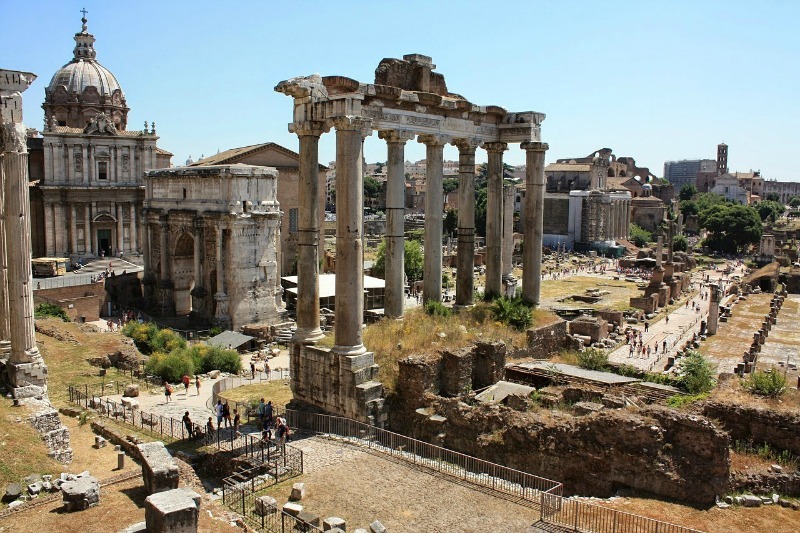 You can wander the Forum for hours, amid the remaining columns, staircases, public gathering areas and temples, and, with the help of a knowledgeable guide, try to picture what the Forum looked like in the days when it served as the center of a vast empire. The Colosseum, the world’s largest amphitheater and best known as the venue where gladiators once battled, remains an impressive monument alongside a busy boulevard in modern Rome. Going inside, you can view the lower chambers where combatants were held until called upon to fight in front of cheering crowds that reached 50,000 or more. 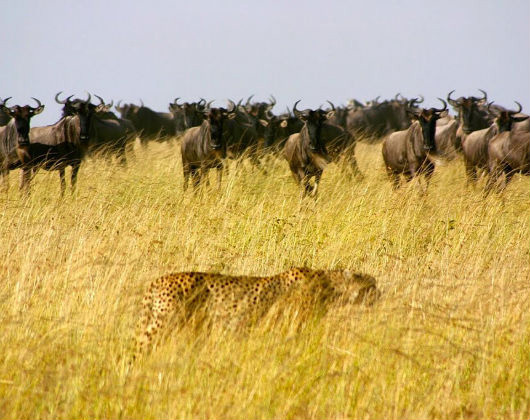 The Serengeti is the scene of the annual Great Migration, when more than a million wildebeest and hundreds of thousands of zebra and other animals migrate across the Grumeti and Mara rivers, many of them to become prey for hungry predators such as lions and crocodiles. Picture millions of hooves kicking up dust on the plains, then struggling to cross the rivers while the predators lie in wait to feast on the weakest of the migratory animals. The Serengeti is a wildlife-lover’s treasure at any time of year, a wealth of big game occupying grassland and woodland surrounded by other rich reserves such as Ngorongoro Crater and Masai Mara. Permanent tented camps and comfortable hotels and lodges serve safari-goers in every season. 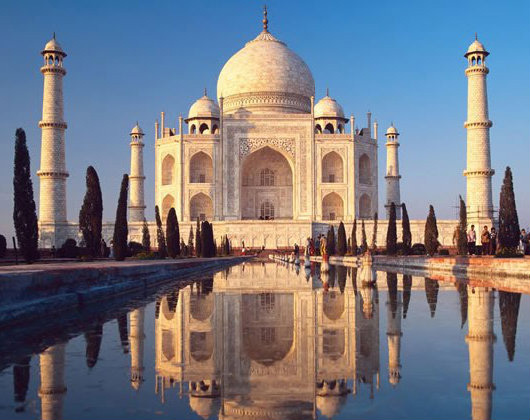 Often called the world’s most perfectly designed structure, the Taj Mahal stands resplendent near the Yamuna River in Agra, India, and is one of fthe jewels of Rajasthan. The white marble mausoleum, set amid minarets and thick with Persian, Arabic, Indian and Turkish influences, was built in the mid-17th century by Mughal Emperor Shah Jahan for his deceased wife. Outside, it’s landscaped with gardens and a long reflecting pool, and inside, you’ll find intricate carvings and inlays. Visits to the Taj Mahal on full moon nights are considered the most romantic way to view the architectural gem, but you can enjoy the Taj in all its splendor by daylight as well. Still, don’t put an India tour to see the Taj off for too long. Because of the wear and tear from millions of footsteps, handprints, and the ravages of pollution, the Taj is considered one of the most endangered of the world’s icons. More water pours over Victoria Falls than any other cascade on earth -- earning its traditional name Mosi-oa-Tunya, “the smoke that thunders,” due to its deafening roar and towering mists. Marking one part of the border between Zimbabwe and Zambia in south-central Africa, Victoria Falls ranks as the top tourist attraction of each country. 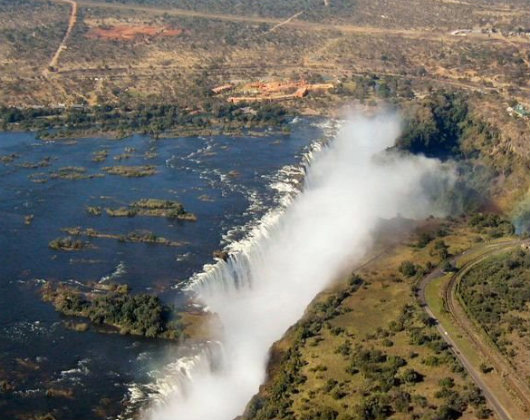 Seeking to capitalize on the falls’ popularity, the area has now become the top adventure travel destination in Africa as well. You can go whitewater river rafting on the Zambezi here, bungee-jump off a bridge, and even go “gorge swinging,” or, more simply, go for a hike for some amazing perspectives on the falls. A wide variety of lodging, eateries, and shops have sprung up on both sides of the falls and the Zambezi, but the ultimate attraction remains the cascades themselves. Victoria Falls is also a frequent addition to wildlife safaris in Zambia, Zimbabwe, and neighboring countries as well. Most everyone knows that Yellowstone National Park is home to Old Faithful Geyser, but its attractions go far beyond that. Near Old Faithful (which erupts every 45 to 110 minutes) are miles of winding boardwalks that pass an array of other dramatic geysers, hissing steam vents and roiling mud pots. 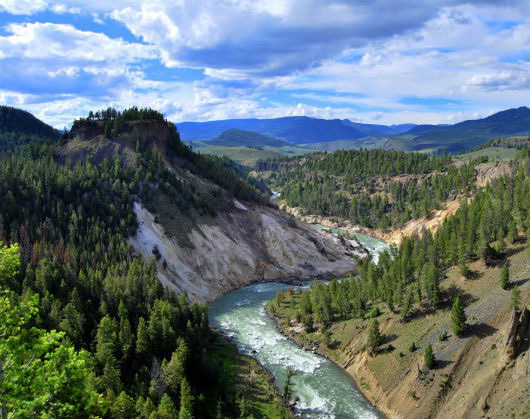 Larger than the states of Rhode Island and Delaware combined, Yellowstone spans parts of three states itself and can be toured via a 142-mile-long Grand Loop Road. Wildlife is another huge draw -- bison, elk, moose, and, more elusive, black bears, grizzlies, and wolves -- as are plentiful forests, rivers, mountains, and dramatic rock formations. Tours that stay in the classic Old Faithful Inn are a bonus. With an average elevation of 7,000 feet, Yellowstone is blanketed with snow in the winter, and has become popular with snowmobilers in some parts of the park. It's also near the scenic Grand Tetons and Jackson Hole, Wyoming, and many people combine the two into one tour. Now, what's on your list? We’ve listed our top 15 world icons that are extraordinary examples of nature, beauty, architecture, and history -- though we could easily list 100 more. Didn’t see your favorite? Let us know in the comments and you may find them in our next round of “Top Picks”! Every single one of these are my list! Especially Machu Picchu and Antarctica. Can't wait to make them all happen!